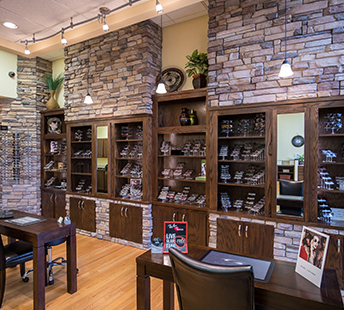 With our wide selection, The Eye Gallery can find you that perfect frame you’ve been looking for. Capturing your unique style in a pair of glasses can be difficult, but we have such a wide selection, you’re sure to find something that catches your eye. Designs and sizes across a broad range mean that almost anyone can find a match. Featuring rugged and bold edges, Seventy One designs offer a fresh and hip look that any fashion conscious wearer will enjoy. Irresistible glamour and luxurious individual style is the cornerstone of Lulu Guinness eyeglass frames, as sub-brand of Tura Inc. Those seeking dramatic retro shapes, exclusive patterned materials, and unmatched sophistication, should look no further. Lulu Guinness eyewear has an affordable frame collection for all. Bursts of color, exciting patterns, and playful shapes adorn the stylish oio line of eyewear for kids. Oio frames, a sub-brand of Tura Inc eyewear, are dedicated to helping their youthful audience express their individuality. Targeted towards the young adult segment, these frames feature fresh and new designs paired with popping color schemes. Expressing your own style is important to any teen, and these glasses allow anyone to rock their own unique style. Inspired by vintage lace and classic jewellery, Jessica McClintock eyewear captures the very essence of femininity. Delightfully delicate details like filigree patterns and crystal accents make every pair of glasses a work of art. Jessica McClintock glasses are a beautiful expression of the romantic living inside every woman and girl. A brand rich in history and trusted for quality with an admirable business model. Geoffrey Beene has become synonymous with impeccable styling, superb tailoring, comfort and quality. Appealing to the fashion conscious consumer, the Geoffrey Beene eyewear collection unites Geoffrey Beene’s playful, unconventional spirit with effortless, wearable designs for men and women. Affordable yet luxurious designs that feature contemporary stylings in a variety of finishes. These hand crafted frames showcase exceptional quality and deliver a unique frame based centered around the theme of the modern, connected man.